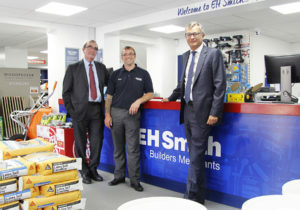 Independent Birmingham-based builders’ merchant EH Smith has told its local MP that reducing emissions and easing traffic congestion drove the decision to open a new branch in Birmingham city centre. Chairman John Parker told Roger Godsiff MP for Birmingham Hall Green that the new store in Brighton Road, Balsall Heath would lessen lorry movements around the city centre and allow builders shorter drives to collect their materials, as part of the company’s backing of the proposed Clean Air Zone in the city centre, set to come into operation in January 2020. Parker said: “We welcome the news this week from Birmingham City Council about the Clean Air Zone from January 2020 and we welcome the opportunity to show Mr Godsiff what a local business is doing to help. “There are huge levels of investment going on in Birmingham, which look likely to continue for many years, especially with HS2, the 2022 Commonwealth Games, and the continued transformation of city centre living. It is right that we assess the air quality impact in the city centre of an increase of lorries and other construction traffic. The Brighton Road branch opened in March and serves the city centre and local communities for walk-in purchases as well as collection for ordered stock. 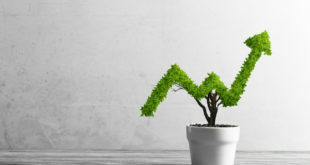 Parker added that the investment was not the only way the company was enforcing its environmental agenda and strategic business plan, which involves reducing fleet movements to save energy and reduce congestion. He said: “As a business we will not only be fully compliant to help reduce emissions as we deliver building materials from our burgeoning city centre business, but are actively going over and above with a range of environmentally-friendly measures across the company. During the visit, Godsiff said: “I’d like to congratulate EH Smith on the launch of their new branch and for their innovative thinking: providing a quick and convenient city centre service for tradespeople working on developments in the city centre, served by a new delivery fleet, which reduces delivery mileage and emissions and so will actively support the city’s Clean Air Zone when it is launched in 2020. It’s also great to hear local people are taking advantage of the branch for their DIY needs too. Editor-in-Chief across the BMJ portfolio.